Ever get to that point in a meal where you are waiting for the next course and conversation is a bit lacking? So, for something to do, you turn to your napkin and start fiddling with it? Well, how about playing Sudoku on it instead? 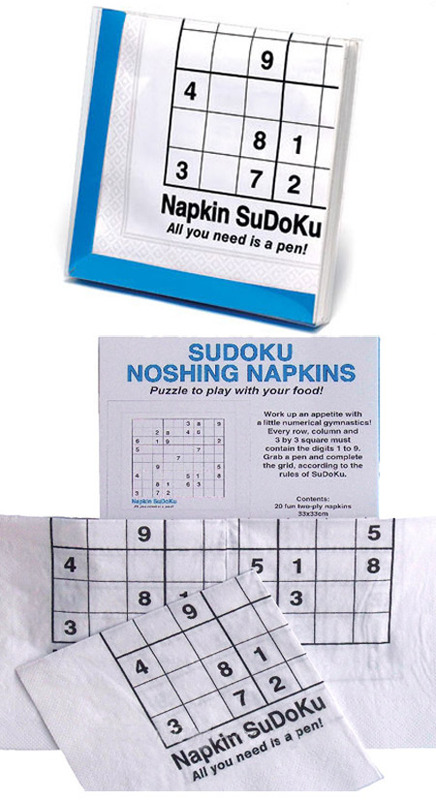 All you need is a pen and you are well away with this pack of twenty napkins each printed with a Sudoku challenge! 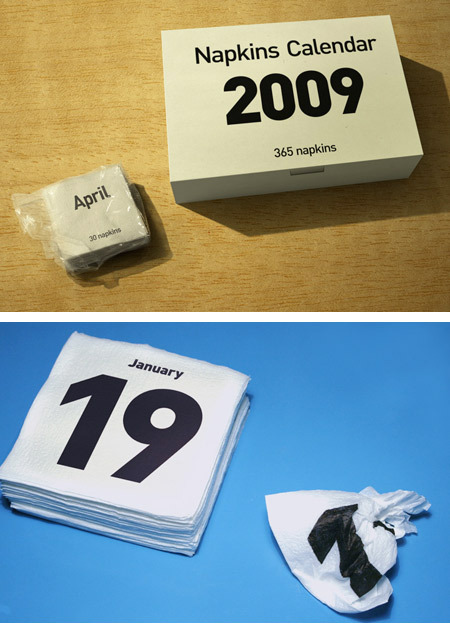 Unusual daily calendar by Russian designer Stas Aki. Where were you the last time you had a great creative idea? Were you in your office, laptop ready to record every detail? Or were you out at a restaurant, coffee shop or bar, scrambling to capture your brilliance on shreds of caffeine- or booze-soaked cocktail napkins? For many creative people, entrepreneurs, artists and designers alike, the situation frequently tends to be the latter. 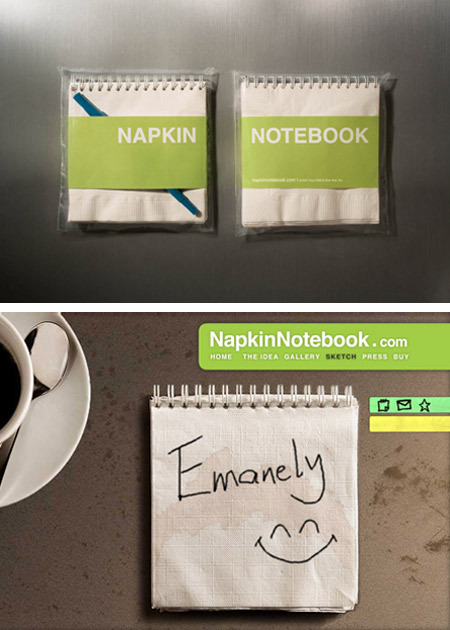 For this reason, global advertising agency Euro RSCG Worldwide has developed the Napkin Notebook, a spiral-bound collection of cocktail napkins ready to be filled with notes, sketches… and the next great business idea. 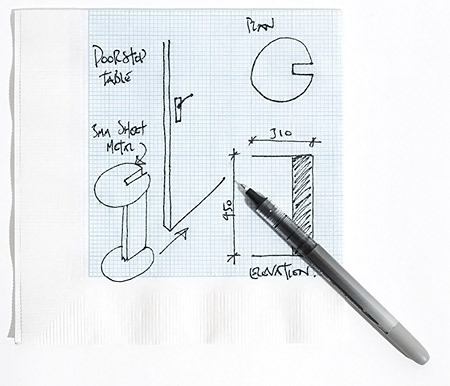 Next time you doodle and sketch your ideas on your paper napkin, do it with real accuracy with these graph-paper paper napkins! Designed by Colin O'Dowd. Dinner parties are renowned for being stuffy, awkward and at times a little bit dull. So instead of telling bad jokes why not try dazzling your guests with our amazing origami napkins. Each pack comes with an assortment of napkins with different origami patterns printed on them, along with easy to follow instructions. 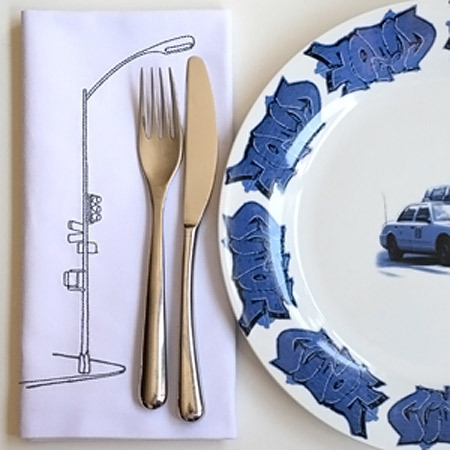 Add a bit of humor to your next dinner party – or a bit of kitsch, depending on your tastes. 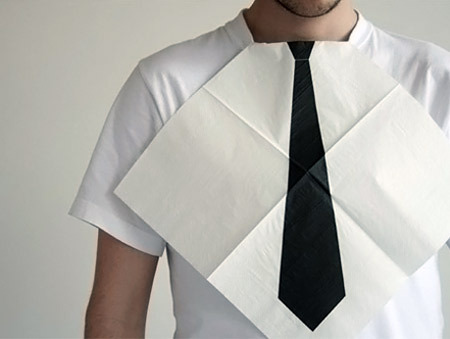 Perhaps the napkin tie is best reserved for more informal occassions – a lunch with friends or an entertaining picnic getaway. From the Urban Collection, these napkins come with elements taken from the city. The Mustache Handkerchief has 4 prints of mustaches inspired by Salvador Dali, Tom Selleck, The Classic Handlebar, and some baseball player from the 80s!! This goes out to all the mustache lovers! 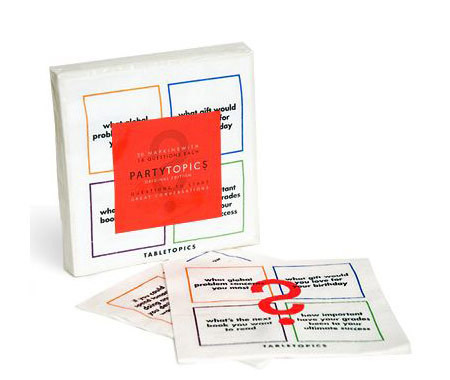 Get the party started with Party Topics napkins. Each napkin contains 16 of the best questions from the Original Table Topics edition. Guaranteed to entertain your guests and keep them talking! I like you. Do you Like Me? yes no maybe. An interesting way to get the reply. 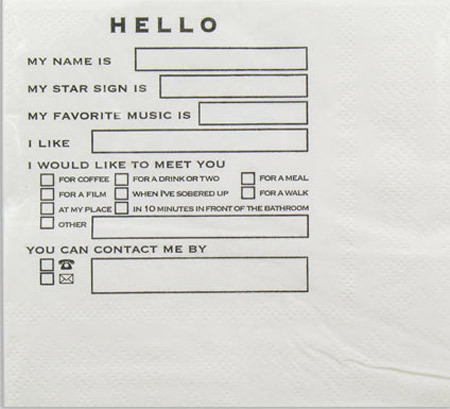 Napkins are often overlooked as excellent communication devices. This clever set makes it quite easy for you or your guests to spell out intentions. 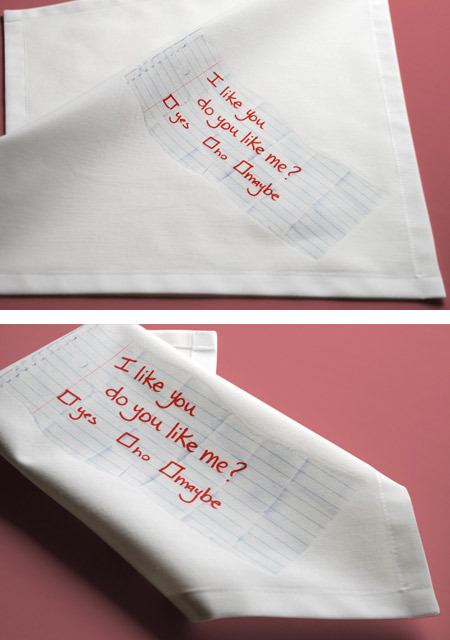 Funny handmade cocktail napkins. 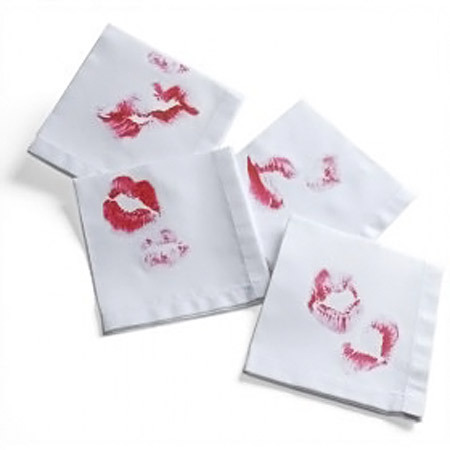 Are they kisses or did someone have to blot their lips?! Design by Avril Loreti.